CVUU held a service dedicated to the International Day of Peace. We had a wonderful speaker for that day, original music, and the dedication of CVUU’s peace pole, located in the CVUU backyard. 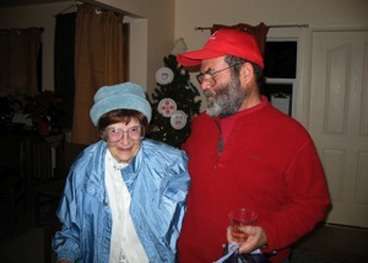 Longtime member of CVUU Isabel Katana initiated the CVUU social justice prize. Longtime member of CVUU, Isabel Katana, was the first recipient of the CVUU social justice prize. 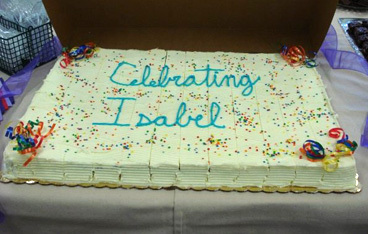 A Celebration of Isabel’s life took place at CVUU July 8, 2008 on what would have been her 95th birthday. 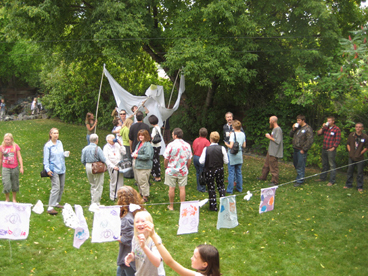 The Isabel Katana Center for Social and Environmental Justice was dedicated in her honor. 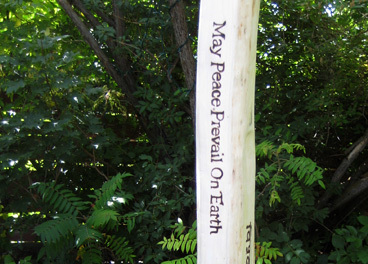 The Peace Pole was erected at CVUU on the International Day of Peace – 9/21/08. 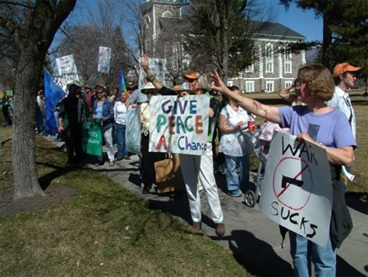 Members and friends of CVUU participated in a peaceful 2008 Peace Rally to oppose the War in Iraq. 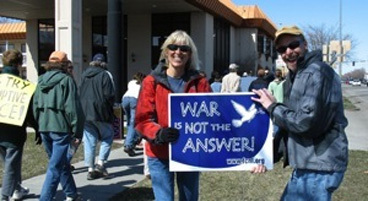 2007 Peace Rally to oppose the War in Iraq. Members, friends, congregants, children and our minister all chipped in to provide $4500 to the Hispanic Center. This money was earmarked to provide much needed support to the Latino community after an Immigration raid at the local meat packing plant. 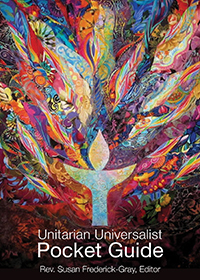 We also provide partial to complete subsidies to groups whose activities and goals are aligned with Unitarian-Universalist principles. We are allies of the Gay Lesbian Bisexual Transgender Association.